A collection of slides relating to the Milton Keynes Development Corporation. 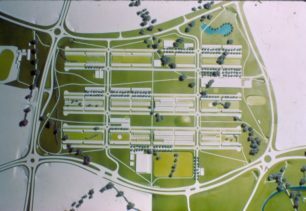 It includes slides of plans and drawings of the designated area, planting strategies and cross sections of parts of Central Milton Keynes. 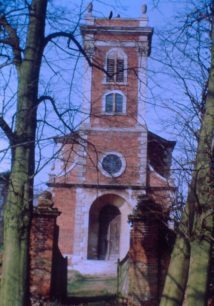 There are slides of commercial and domestic buildings; the Grand Union Canal and leisure and recreation activities. 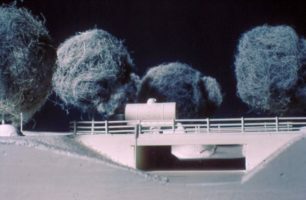 There are also slides of models made of Advanced Factory Units (AFUs); houses and underpasses and bridges. 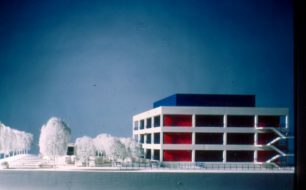 Slides of plans, drawings and models of the Milton Keynes city centre. Showing the first phase of land use in 1977 and the complete scheme in 1991. It also includes cross sections of an underpass and boulevard and a drawing showing the scale of the city centre. Colour slides of various leisure and recreation activities. 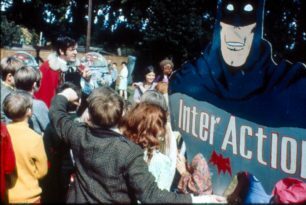 It includes several slides of the Grand Union Canal; shopping in Stony Stratford; Linford Lake; Wolverton Sports Club; activities at Bletchley Carnival Week; musicians; swimming; golf; flying; ballet etc.